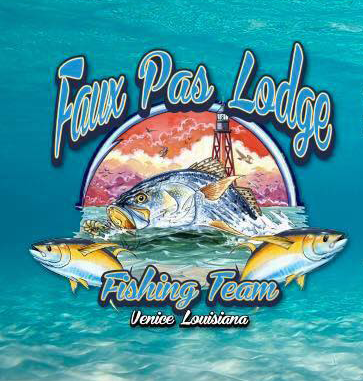 The 20th Annual Faux Pas Lodge Rodeo is set to kickoff Thursday morning out of Venice Marina, but if you’re not registered yet, unfortunately you’re out of luck: Registration is closed for this year. But everyone can keep track of the action: Weigh-in results will be posted in real time at www.fauxpaslodge.com to keep everyone updated on the leaderboard. Fishing begins at midnight tomorrow, Thursday, July 26, and scales will be open at Venice Marina from 5 to 8 p.m. on Thursday and Friday, and from 3 to 6 p.m. on Saturday. For the complete list of rodeo rules, click here. Major categories for 2018 include inshore, offshore, rig, live redfish, speckled trout five-fish stringer, red snapper five-fish stringer, blue marlin tag and release, redfish with the most spots, live three-redfish stringer and swordfish.